The only impression I was left with, after watching Wall-E was: “So in the future, we will be too busy with building a spaceship that will support generations to come that we won’t have time to clean up after ourselves." Every day, we discover a more convenient way to replace A, but we don’t care how the existing A and its components will be disposed. When we discuss about improving the quality of life through technology, we talk about smart nation - the electricity grids, water meters, real-time reporting, accessibility and flexibility, and we tend to forget about our garbage. Having a proper waste management system is being kind not only to our environment but also to our health and value of things. My home country, Myanmar, has everything each popular tourist destination boasts of. Switzerland has ice caps? Myanmar has them too. Thailand has this beautiful sandy beach; well, Myanmar has tons of those sandy beaches. Canada has this lake… stop, we not only have a lake with hilly surroundings, but we have people living in that big lake with people rowing boats with legs, which is scenic as hel..heaven. Almost all the landmarks and attractive destinations in the country are besmirched with trash. A lack of legislation and policies is one contributing factor. Other causes include: rising population, poor storage, infrequent collection, scavenging, and lack of proper disposal. Even in the commercial city, Yangon, experts are concerned with the quality of water as people discard all sorts of garbage into the rivers, ditches and creeks. At the Setse beach, one of the top tourist attractions in Mon state, i.e. Sounthern Myanmar, not only the street vendors and the public, but also hotels and bungalows are guilty of a lack of waste management system. In the survey carried out by the Yangon City Development Committee’s Pollution Control and Cleansing Department (YCDC), it was found that by 2015 each person disposed 0.41 kg of garbage on average daily, and the garbage production had been rising continually, from 0.34 kg in 2012. More than 70% of the rubbish was classified as kitchen waste, and the rest as plastic, glass, tin and other materials. To solve this, YCDC plans to convert waste into renewable energy source, but without much success, due to lack of equipment, funding and staff. Knowing your garbage is extremely important to recycling garbage into energy source. Each scrap should be seen as an asset to be recovered and returned to the market. However, developing countries sometimes fall short of the required funding, just as in Myanmar. Recently, IoT has been combined with as simple a creation as trash bins to solve the growing problem of waste. In U.S, some of the cities such as Boston, New York, Pasadena, and California have begun to use these smart bins, which were found to cut costs for trash collection by 40%. The innovation is not reserved for developed countries alone. The usage of solar-powered smart waste trash cans has also spread to Colombia, to help monitor the levels of garbage in each bin and compact waste. Smart bins technology does not require a replacement of a town’s entire infrastructure, and the network is accessible through an app by drivers as well as from management office. It estimates the point when bins will become full, suggest shift changes and route alterations, which can reduce working hours and lower operation costs by 80%. Although smart bins might not the ultimate solution to solve improper waste management system in Myanmar, it is a quick fix technology that can be adopted despite the country’s infrastructure and services. While the country takes time to develop long-term plans for renewal energy source, which can be a part of smart nation solution with a look into infrastructure, smart bin technology can address the over filling of bins around the urban areas, which in turn could help reduce irresponsible garbage throwing everywhere. If you are interested to understand more about the capabilities of IoT (internet of things) technology in developing countries, come down to our 18th edition of Asia IoT Business Platform, happening on 23-24 November. Download our brochure here for more information! @Sunil Desai Thank you for your insights! You’re absolutely right that Myanmar needs to address this situation from the start of the production cycle, and find some way to turn garbage into something reusable. But that does need infrastructure change, which is a long-term issue. That’s why in my opinion, Myanmar can think of a quick-fix solution for the moment before they can tackle this on a scale. It would be interesting to know more about how exactly this can be commissioned in developing country like Myanmar in true sense. Most probably, this is a country where dry and wet waste is not segregated. There is no concept of recycling of plastics, paper and so on. There is no control on amount plastics produced and dumped. 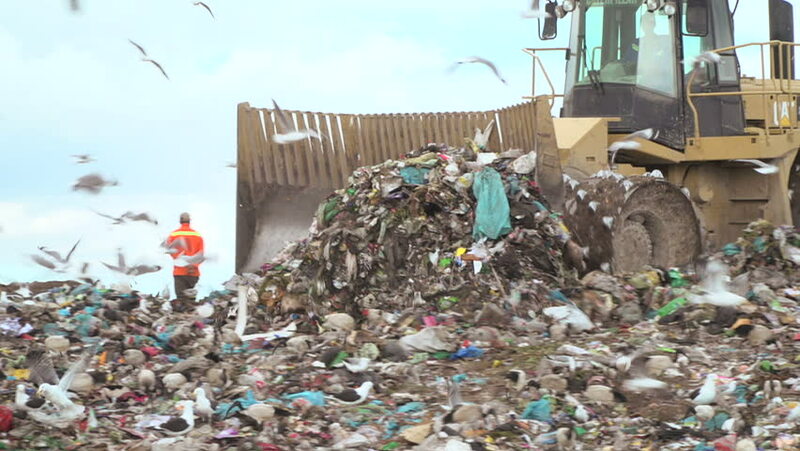 Huge problem about garbage dumping locations near cities and so on. According to me none of these can fly until we can use engineering & technology to take care of this garbage at the place it is produced say every big premise or housing complex. Say convert all wet into either energy or fertilizers and all dry in much miniature form which can be easily transported once a week or so as raw material for something useful.